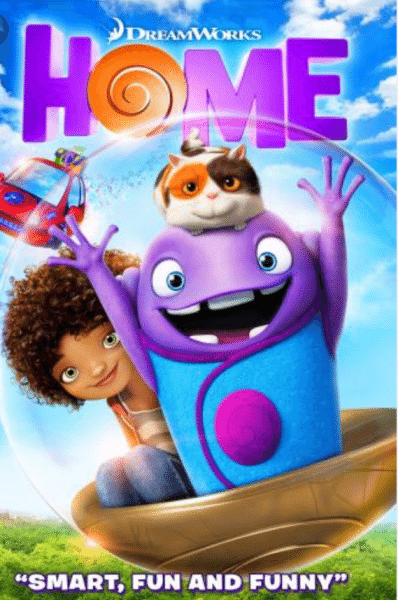 The movie Home is now out on DVD and is looking to be one of the popular hits for this summer’s free movies in New Jersey series. With that in mind, we wanted to share our movie review for Home. The movie Home takes place as the Boov are arriving to colonize Earth, as their latest planet to hide from their enemy the Gorg. Since the Boov are very skilled at running away they have a very organized colonization process that includes turning off gravity and moving the humans to their new homes. But in the process of the new move, Oh, a misfit Boov who doesn’t have any friends, mistakenly invited the entire universe (including the Gorg) to his housewarming party. Oh is searching for a place without any Boov to hide when he runs into Tip, a human girl who was left behind in the relocation. Oh and Tip team up to find Tip’s mom and help Oh hide from the Boov. Tip and Oh go on a great adventure that it filled with excitement and close calls. Tip and Oh teach each other a lot about humans and Boov while the become best friends. Take a look at the Home movie trailer. It’s very silly! It’s hysterical to watch Oh and the other Boov try to navigate the human world. They think things like metal and basketballs are delicious food. Oh discovers the amazing taste of Slushies. Oh marvels at the fact that Tip keeps an animal as a pet and not for a specific purpose. Throughout the movie Tip and Oh get into hilarious situations and conversations. Tip puts on some music and Oh starts dancing uncontrollably even though he doesn’t want to. We were laughing through most of the movie. It has a great lesson. The Boov are an alien race known for their ability to run away. They are excellent at packing in a hurry and evacuating from a planet when danger arrives. But through his journey with Tip, Oh learns that sometimes it’s best to run towards the danger instead of away from it. In the end, Oh saves the day because of his new-found courage. I know my kids could use an extra helping of bravery at times and this was a lesson that really hit home with them. Even though it is a comedy, Home has it’s share of serious moments too. There were several parts of the movie where my 7 year old cried, and I will admit there were parts that made me tear up. Even though the movie is very silly it covers themes like friendship, loneliness, and loss. These are issues that many children deal with and it’s great for them to see characters deal with them in a movie. Tip is lonely and misses her mom because her mom was relocated and she wasn’t. Oh is lonely because he is different then the other Boov and has not been accepted by them. During their journey Tip and Oh reveal things about themselves to each other and become great friends. The movie Home is definitely a movie I would recommend for a family movie night or you can check it out as part of this summer’s free movies in New Jersey series especially Regal’s summer movies. Looking for more great movies? 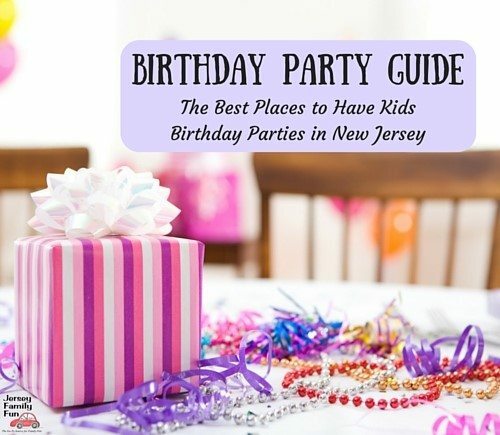 Check out Jersey Family Fun’s movie reviews and family movie night suggestions.